I’m going to start off by addressing the story. And first up in that regard is both how the second movie ended, and how this one started. The second movie ended with Shinji’s death alongside the battle with Fortune and Strength, and the general execution actually worked really well. It at least didn’t feel like it was forced out like the first movie’s ending. 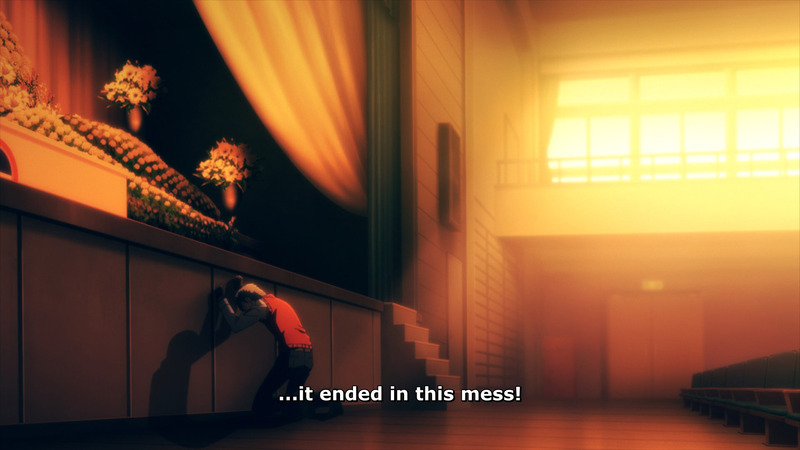 My main issue was a scene that didn’t necessarily need to be there, but would have maybe worked – Akihiko lamenting over the situation, but finding the resolve to continue fighting, which manifested in his Persona being strengthened and becoming Caesar. That’s what happened in the game at least. For the second movie, they omitted that scene, which left everything on a huge downer. That isn’t necessarily a problem, and I can understand why they may have wanted to avoid the optimism of Akihiko’s determination for the conclusion. But the real issue is how this scene played out in the third movie – it didn’t. They shoved it in as an afterthought flashback, and most importantly, Akihiko never attained Caesar. Why? I have no clue. Of course, Ken, Fuuka, Mitsuru and Yukari didn’t have their Personas evolve either, but Junpei’s did. I’d guess they’re putting it off for most of them so they can act as a mid-battle transformation for the final boss like in the Persona 4 anime. Which is beyond stupid. In the game, the characters each received their ultimate Personas once their character development within the context of the main story reached its end, with each of them finding a new resolution to work towards and fight for. So for Ken and Akihiko, the trigger was Shinji’s death, for Yukari it was receiving the original message her father recorded ten years ago, etc. The movie did a pretty cruddy job with all of this. And of course they skipped an entire month to get right to the next Full Moon Shadow. So the Hanged Man fight (with Strega shoved in as well) opens up the movie. And Koromaru still doesn’t sound like an actual dog. Guess what else the movie did a cruddy job with? Jamming Ryoji into everything. While he certainly played a large role during the Kyoto trip and several other scenes, the movie has basically warped things to allow him to be part of nearly everything besides the stuff with Chidori. Makoto needs to get a part-time job to pay for a silly suit rip? Time for Ryoji to step in and help for no reason! Makoto still needs money and the part-time job just isn’t doing it? Time for Ryoji to step in and help again for no reason! Ryoji hasn’t actually transferred into the school yet? Let’s stick him on the roof of the train station for no reason! 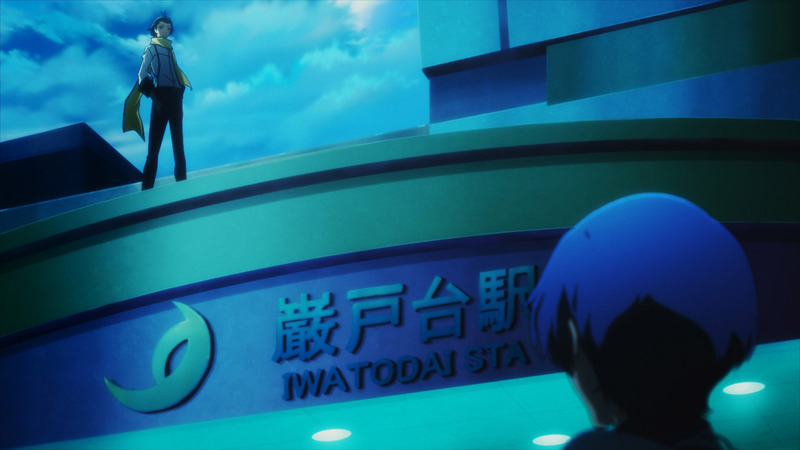 Yes, Ryoji’s entrance is as stupid as him standing on the roof. There were other problems with this scene as well. 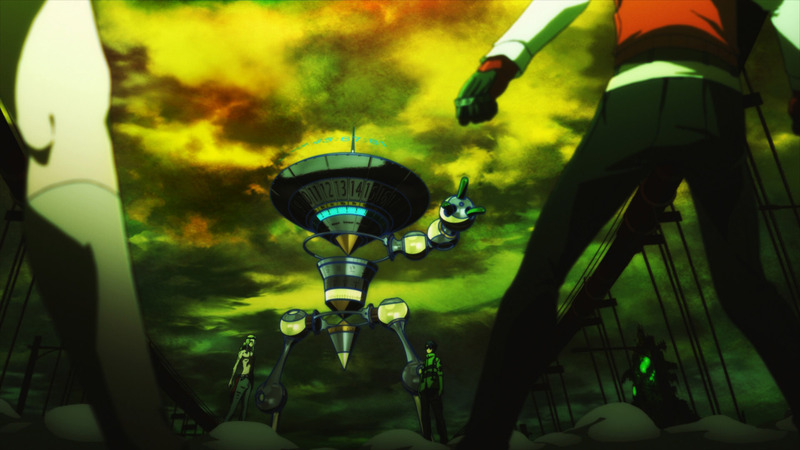 And unsurprisingly, Social Links got passing and forgettable attention. At this point, I don’t expect any differently. Also, there was absolutely no acknowledgement of climbing Tartarus, which is very strange to me. In the game, that’s where most of the gameplay lies, and it offers both hints towards the backstory (with the “old documents”) and a push towards finding out the cause of the tower’s existence. With the final boss battle being at the top of Tartarus, I’d expect that the next movie will show at least a little of the climb, but who knows. And, as a weird not necessarily important comment, Elizabeth only has four lines in this movie. I counted. I know I’ve complained about Social Links playing hardly any role in the series, but Elizabeth’s hardly been acknowledged as existing. Her role in the game was both to offer side missions and have her own unofficial Social Link thing, and with how Persona 4 Arena emphasized her connection to the protagonist of Persona 3, I’m surprised they haven’t given her more attention. It’s a shame, because she’s 2nd/3rd-ish best girl. The second half of the movie mostly focused on Junpei and Chidori, and a battle with Strega and stuff. In some senses this was fine, but it felt like it relied too much on telling the viewer that there was some actual connection with Junpei and Chidori, rather than effectively showing it. He repeatedly said that he cared for her well-being and what-not, but they never really accumulated into a natural situation for how things played out. They also managed to make all of it feel like a distraction from the main story, rather than a supplement. As a general comment on the story, the pacing was all over the place. 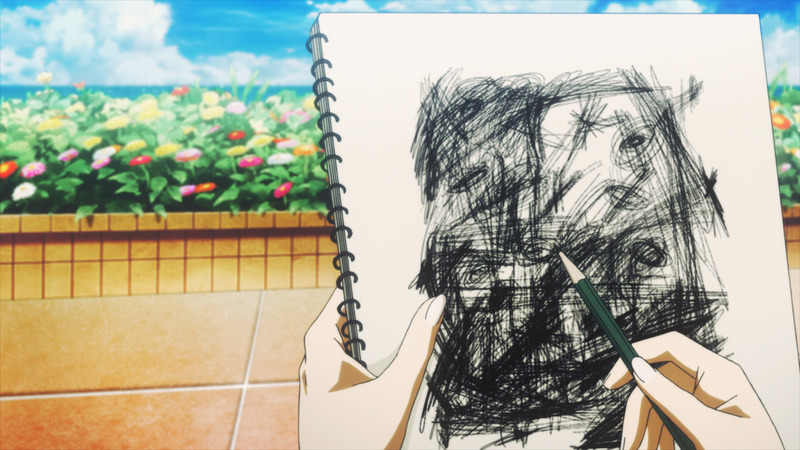 Some scenes jumped around like crazy, like there was half-assed editing done on the footage (of course, with this being an anime, that’s an extremely unlikely scenario – the issue would most likely stem from the storyboards). In particular, the entire scene with Ikutsuki felt like an absolute turd because of this. Because of how jumpy and rushed it was, and because many details that should have come to light were omitted, this felt like a pointless non-sequitur lacking the impact the game had. In other scenes, like the last battle with Strega towards the end, they just dragged on without feeling particularly important. In fact, not much at all about this movie felt like it matters too much in the long-run besides Ryoji’s introduction. Oddly enough. One thing I definitely need to talk about is Makoto’s character development. I liked what they did with this in the first movie, and the second sort of just kept that train rolling. But after Shinji’s death, most of it seems to have been reversed and sort-of rehashed for the third film. It’s a bit difficult to explain it though, because it’s portrayed pretty terribly this time around. Basically, the first movie has Makoto finding his own purpose, veering away from a sense of apathy. In the third movie, he is deliberately avoiding connections because of the eventual outcomes likely being negative. Kind of. He doesn’t actually say much about it, so you’re just left listening to Ryoji explain it or guessing on your own. But with everything going on with Chidori, it feels like Makoto’s character development was intended to line up with hers. So the end result is that his character development isn’t quite shown appropriately, but hers is and we’re expected to connect A and B for him as well, and even then it feels completely redundant. Have I said that this movie is a mess yet? The writer and director aren’t very good. Visually, this is just about on par with the first two movies, meaning it’s good, but certainly not perfect. While there’s only one Full Moon Shadow in this movie, they seemed to be working towards a CG quota, resulting in several Personas being handled with CG. It doesn’t look good, and it really clashes when they go back and forth, or when two are battling and one is CG while the other is hand-drawn. And just like the first two movies, daytime events look way too bright, like the saturation and exposure levels are all out of whack. Or at least that’s what I’d say if this wasn’t an anime. I have no idea what their actual excuse might be. While I complained about new music quite a bit for the first two movies, most of the new stuff is actually fine this time around. Despite that, what they did with a large chunk of the game’s original music was… questionable. For the first two movies, I complained about them deliberately avoiding looped tracks by throwing in new music that was generally inferior and also clashed stylistically in many situations. For this movie, what they did for a few of the game’s tracks is extend them with new instrumentation, which sounded a bit strange. Maybe it won’t stand out to people unfamiliar with the music, but I still can’t help but feel that simply looping the original songs would have worked far better. Sometime around the end of this year, I’m expecting the fourth movie to be released on DVD and blu-ray, since it just came out in theaters last month. I considered finding a theater to go watch it, but then I watched this movie and decided to save my time and money. Persona 3 has one of my favorite endings of any game I’ve ever played, so I am looking forward to seeing how the movie handles it. I don’t think it would be too difficult for them to do a good job with it, but… that’s probably asking too much from these people. On the other hand, I am not looking forward to them deliberately avoiding playing Battle Hymn of the Soul and Burn My Dread (Last Battle) to completion, two of the best songs on the soundtrack. And if the song for the final credits isn’t Memories of You, I think I’m going to indiscriminately light things on fire. If it’s a remix, the quality will determine whether or not things are lit on fire. Price – On Rightstuf, the normal version is $59.99 US on blu-ray, and the collector’s edition (with the CD and a few other extras) is $79.99. However, it’s cheaper on CDJapan (although it does vary based on the conversion rate) before accounting for shipping options. Also, they have DVD versions under “Other Editions.” So long as you don’t get a weird bootleg, every version will have English subtitles. Recommendation – Skip it and play FES instead. And certainly don’t waste your money on it until there’s a price drop or release with all four movies or something. Thanks for the warning. I am off to get some fire insurance.